Screen printing is a method of printing using a stencil. The stencil, also called printing block, consists of a fine mesh stretched inside a frame, either made from wood or aluminum. The mesh contains the design where the blank areas (areas that have no design) are coated with impermeable substance. 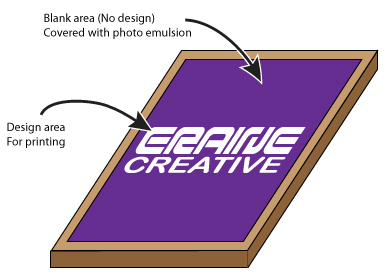 When designing for screen printing method, our designer will do the process called “color separation”. This process, hence its name, is to separate the colors that are used in the design. Each color will has its own printing block. 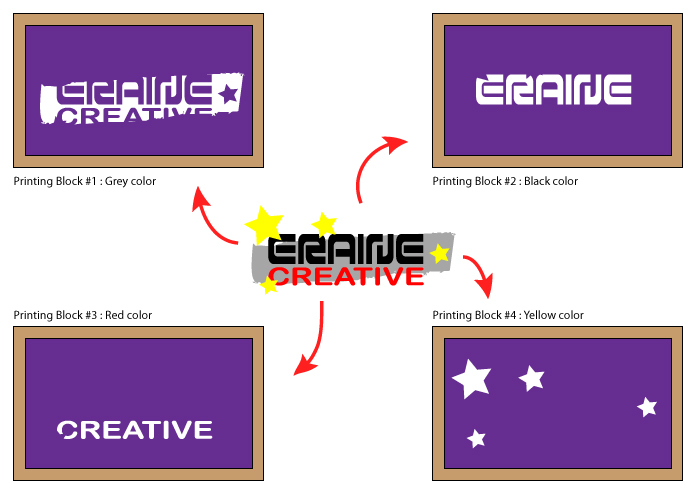 Thus, if the design has 4 colors in it, technically 4 printing blocks are needed to print on the shirt. During the printing process, the ink is forced through the mesh onto the shirt by using a squeegee. Shirts will be printed one color at a time, left them to dry between each color, and continue with other colors until the design is complete on the shirts. Screen printing is suitable for bulk orders as its complexity for making a printing block for each color on the design makes it worthwhile to print in large quantities rather than small. Do you have some cool design in mind for your group’s t-shirt? We can print it for you! Also check out our Custom Made T-shirt section, and Contact Us if you have any inquiry about our products and services.